Governor Scott Walker kicked off his More Jobs, Higher Wages Bus Tour today with a stop at Mathison Manufacturing. He was joined by Speaker of the House Paul Ryan, WI State Senator and candidate for U.S. Senate Leah Vukmir, and Lieutenant Governor Rebecca Kleefisch. President, Al Leidinger opened up the presentation by addressing the impact of income and corporate tax reforms put into place during the Governor Walker’s tenure. These reforms, including the manufacturing and agriculture tax credit plan, have allowed Mathison to invest in new equipment and technology to grow the business and create new jobs. Mathison has added 4 new employees this year alone. Governor Walker’s speech emphasized creating more jobs and higher wages. He touted Wisconsin’s record unemployment and wage growth rates. He also noted that there are currently more job opportunities right now in Wisconsin than there are unemployed people to fill them. Governor Walker discussed his plans on continuing to grow the workforce and making sure we have people with the right skill sets to fill these jobs. He spoke of connecting students to careers early on through youth apprenticeship programs in middle and high school. He addressed his plans to offer tax credits for college graduates that stay and work in the state. Governor Walker also noted the state’s focus on recruiting active military personnel near retirement to work here as Wisconsin is the number one state for veterans’ benefits. In addition to job creation and growth, his speech also touched on topics such as health care, education, and taxes. 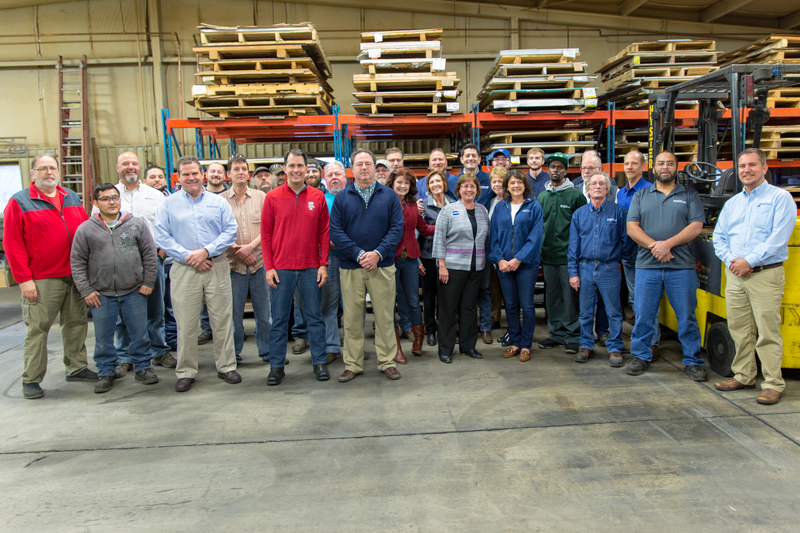 Mathison wishes to extend their appreciation to Scott Walker, Paul Ryan, Leah Vukmir, and Rebecca Kleefisch not only for visiting today, but also for creating an environment where small businesses can grow and succeed.